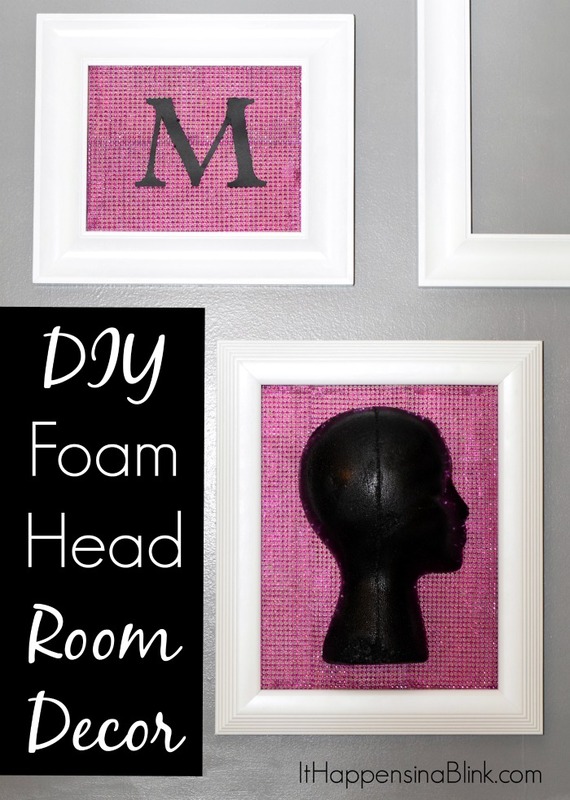 I had a ton of fun making this DIY Foam Head Wall Decor. Thanks to FloraCraft® and #MakeitFunCrafts for sponsoring today’s project. It’s no secret that I like silhouette projects. 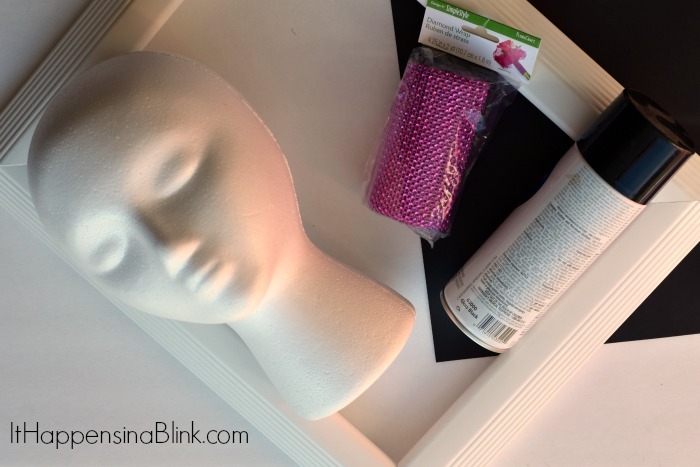 So when given the challenge to create something new and cool with a foam head from Make It: Fun® Crafts, I instantly knew what I wanted to create. 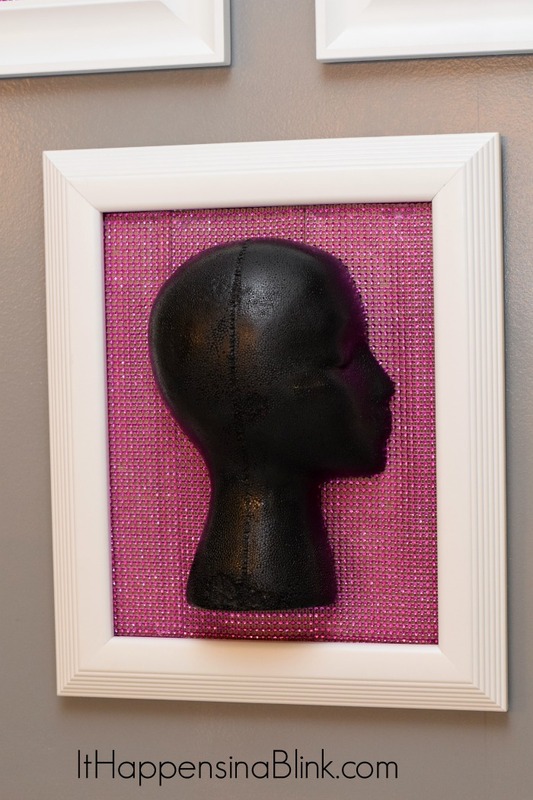 This DIY Foam Head Wall Art is inspired by the silhouette trend, and I think it will look fun in my daughter’s bedroom. 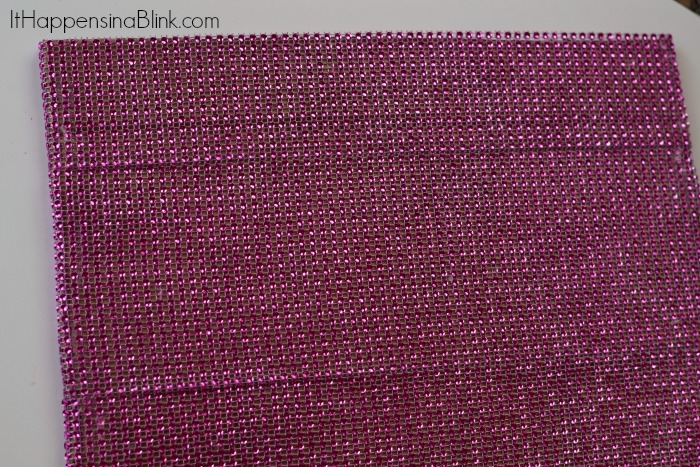 This project takes under 30 minutes, minus paint drying time, and can be customized to match any room decor. 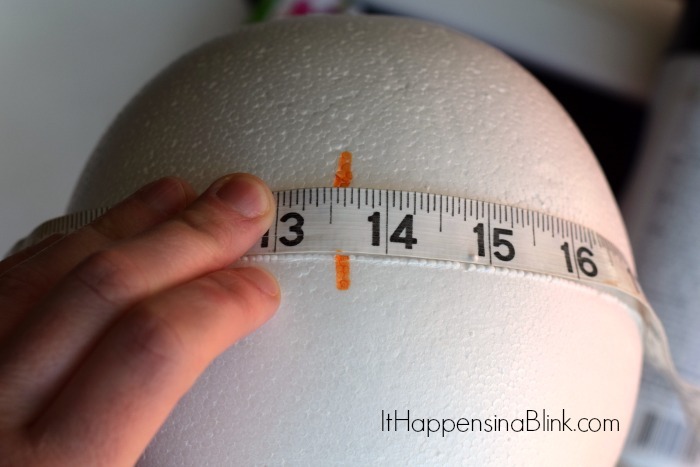 Begin by measuring the FloraCraft® Foam Head and marking the center point. Mark the center point all the way down the head. Using a long knife, cut the head in half. 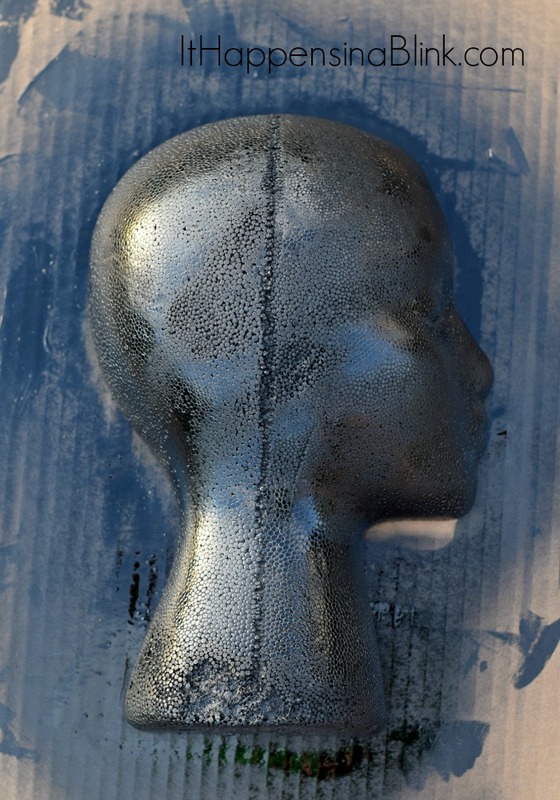 Spray paint one half of the head, and let dry completely. You can continue the next few steps while waiting on it to dry. 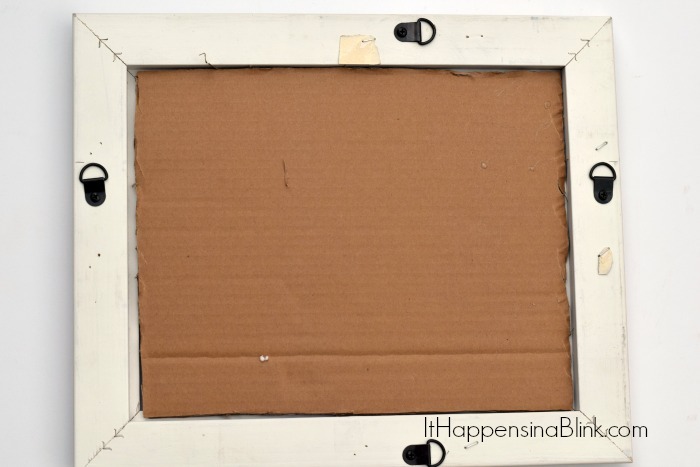 If your frame does not already have a backing, cut a piece of heavy cardboard to serve as the back of the frame. Unravel a portion of the FloraCraft Design It:® Simple Style Diamond Wrap. 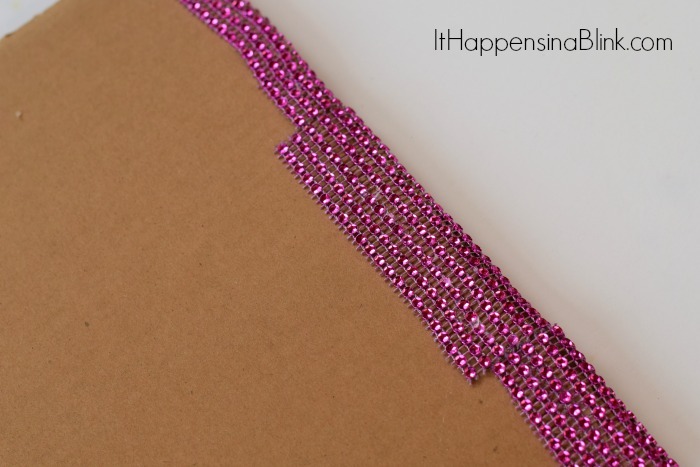 Hot glue it to the cardboard in strips, gluing a portion around the back. 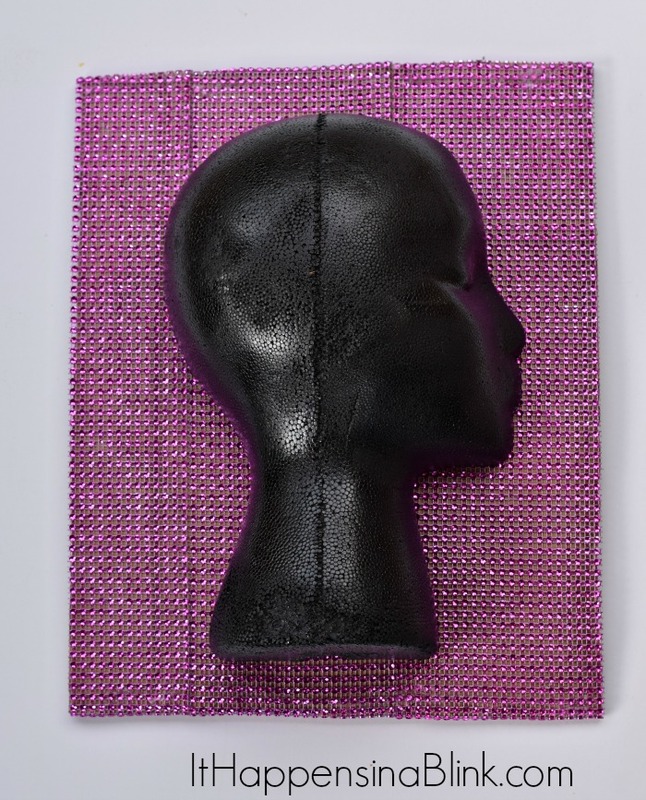 Once the FloraCraft® Foam Head half is dry, hot glue it in the center of the now wrapped cardboard. Insert the board into the frame. If necessary, use hot glue or a tape to secure it in place. Repeat the above steps to make another one with an initial, if desired. Hang the frame in the room for a fun, girly accent! 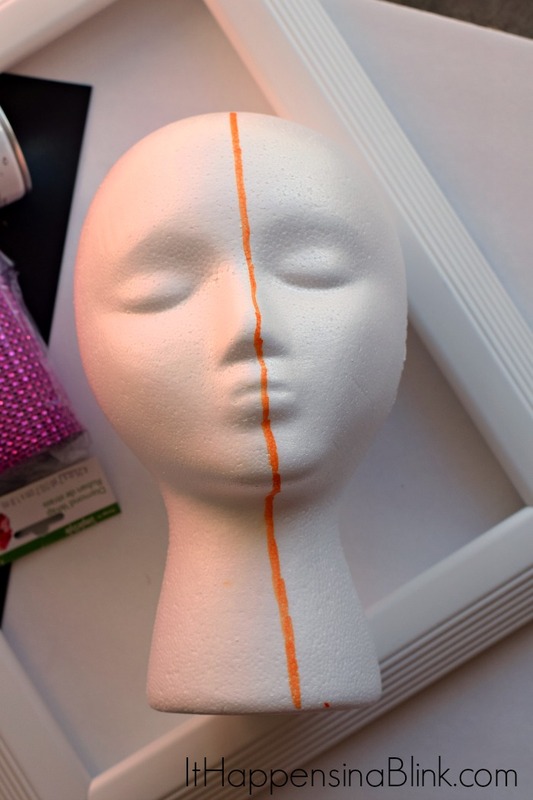 Oh, this is such a fun take on the foam head! I LOVE how it turned out!! Melanie I LOVE what you did with your head….wait, that sounds funny, doesn’t it? 😉 Anyway, what a clever idea! 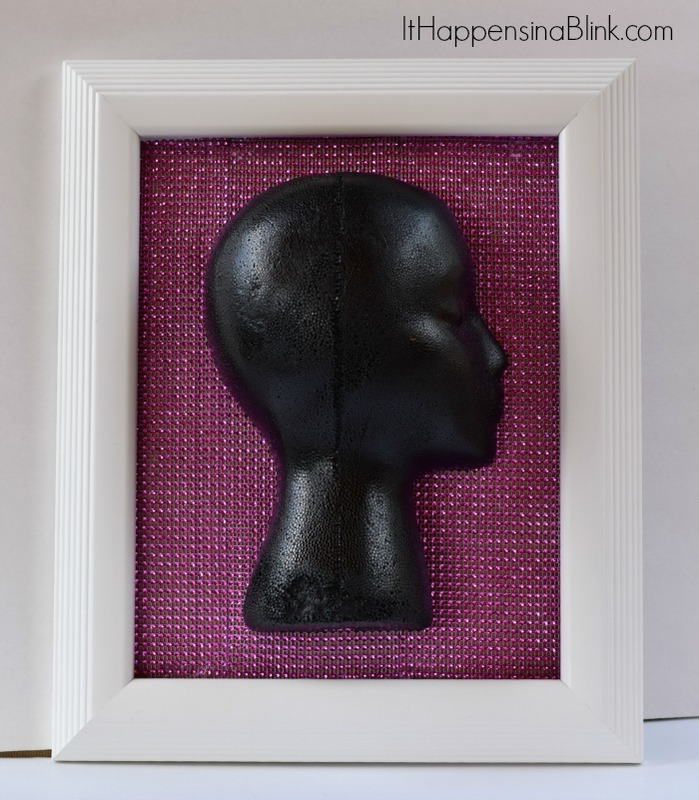 What a clever idea to make a framed silhouette. And the bling-y background is perfect! Thank you. I need some of that diamond wrap, stat! !